Internet has given us ways to revolutionize our daily lives. More and more people are relying on the web for their day to day lives. 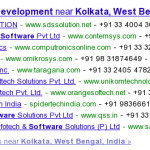 Almost every internet users make use of Search Engine for their needs. A website is a single most powerful marketing tool that helps bringing online presence for your business and drive more leads, phone calls and sales which generate more revenue. 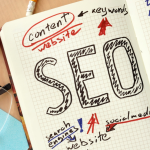 SEO starts even before you register a domain with a web hosting company. Here are few factors that you must be knowing before you register a domain from user perspective and search engine point of view. Choosing the domain name is an important factor in SEO, as you need to create your online recognition and credibility towards your customers. Choose your domain name based on your company name. Its better to have your company or product name as your domain name even if its a new or branded already. If you have decided to have your website live for years then go ahead with registering the domain for long term period (atleast 5 years) instead going with the annual renewal. It shows that you are serious about your business and it increases your credibility. Usually spammers do register their websites for short periods. Another important issue that worries most webmasters is geo-targeting. If you run a local business benefiting the customers in that region, better go with the CCTLD’s. As it helps you better target the right customers in your region. A .com website hosted in US have less chances to appear in UK search results. Better choose the host from the region you are targeting. And if you need your business to be established internationally then choose a .com domain and also register all available TLD’s for the same domain name (.net or .org) and make it pointed to your .com website which helps in consolidating your brand name. Its better to go with dedicated IP address from search engine point of view but it may cost you a few bucks more than Shared IP address. And if you are registering your domain with the hosting company that provides you a shared IP address then ensure that you get a dedicated (non-shared) IP address for your website. Some hosting companies may recycle the IP’s of the banned or spam websites, so make sure that your IP is a fresh IP address and not a recycled IP address. And also check that your www version and non www version have the same IP addresses which may create canonical issues. And also make sure your IP address is not blacklisted using the tools available for checking it. Uptime is the time during which your site is fully operational and usable. Downtime, conversely, is the time during which it?s not usable and operational. Finding a 100% uptime is not easy and cheaper but at the same time don?t just look for hosts that offer you a refund for downtimes, instead, look for ones that actually live up to their ?uptime guarantee? so that your website’s traffic and rankings are not affected due to the downtime. Its always a good practice to check the whois information of the domain name before registering it and check whether the site has already banned from search engines. And also check the web archive of the website. Avoid registering lengthy domain names. Avoid using hype terms like ?best?, ?great? in your domain name. 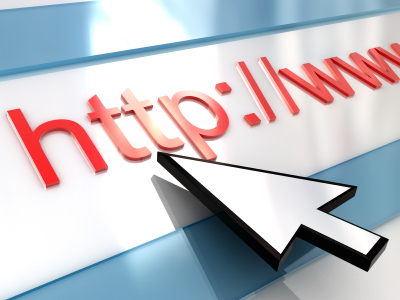 Select a domain name with the relevancy to your services and products. Make your domain name that it will easy for the users to remember. Finally choose a reputable hosting company that provides you the utmost benefits to make your website search engine friendly. This is the punish Tips on Domain Name Registration and Web Hosting diary for anyone who wants to attempt out out near this subject. You notice so overmuch its near effortful to discourse with you (not that I really would want…HaHa). You definitely put a new whirl on a substance that’s been inscribed near for end. Respectable foul, simply large! Thanks for a marvelous posting! I definitely enjoyed reading it, you can be a great author. I will make sure to bookmark your blog and will often come back in the future. I want to encourage you continue your great posts, have a nice day!